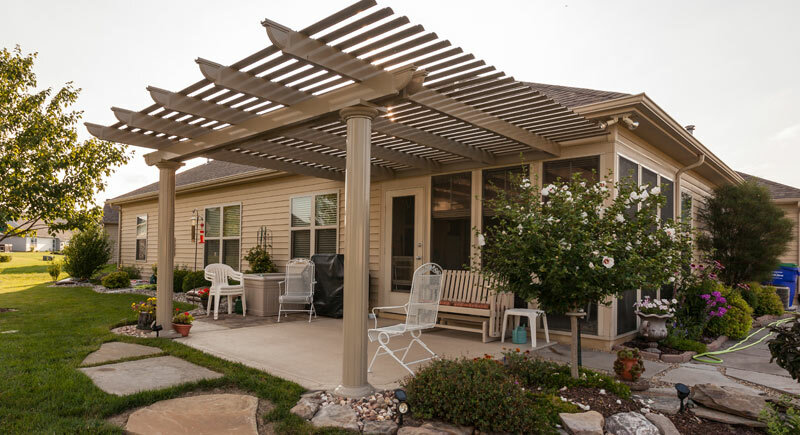 Add style and shade to your outdoor space with an attached or free-standing aluminum pergola. Pergolas not only define your outdoor space but provide lasting beauty and shade, giving you the perfect place to relax or entertain. Roof louvers open and close at the push of a button to go from partial shade to full shade. 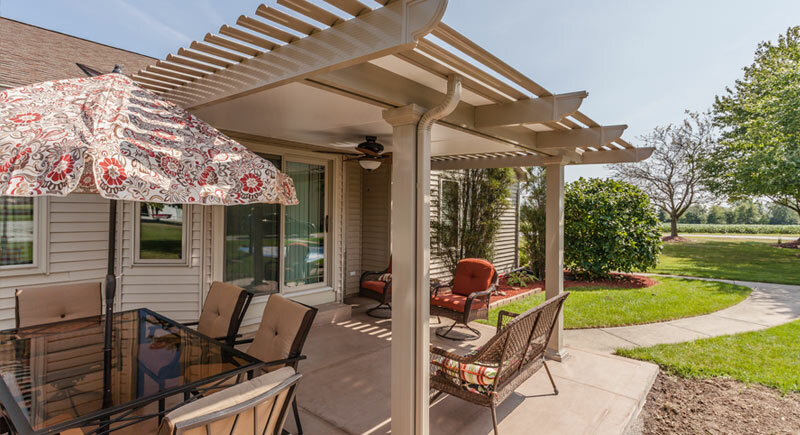 Protect your patio, deck, pool or BBQ area, or any other area that needs a little shade from the sun with a maintenance-free aluminum patio cover. Need protection from the elements? We’ve got you covered! 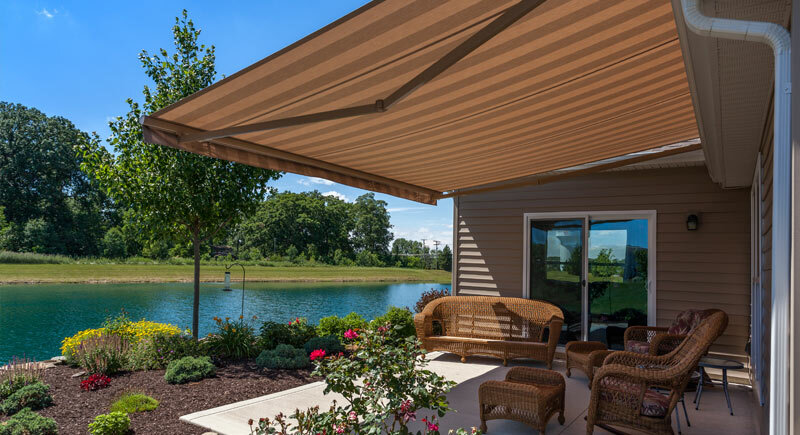 Shade your outdoor space with a retractable awning. Sunesta Retractable Awnings allow you to control the shade and can open or close at the push of a button. 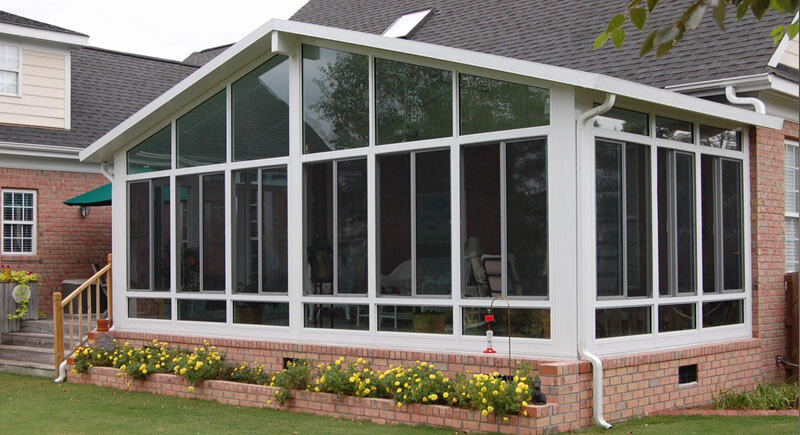 Sunrooms give you extra living space to relax and entertain and let you extend the seasons and enjoy the outdoors year-round without pesky insects and inclement weather. Need shade? 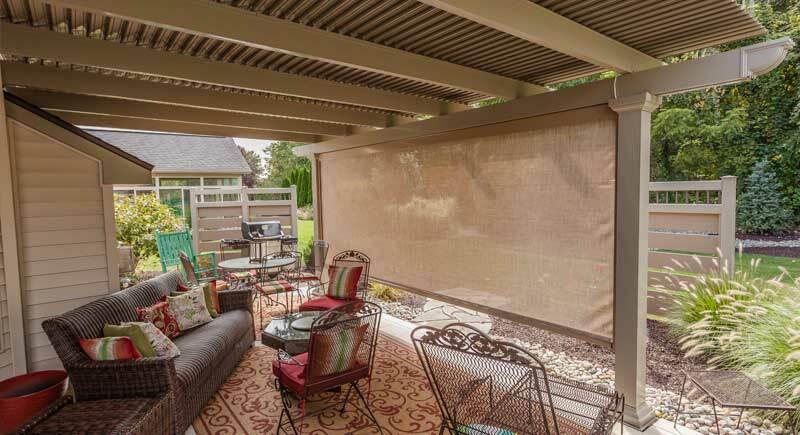 Retractable custom shade screens and fabrics are the perfect choices to add shade and privacy to pergolas, patio covers, and even garages. Don’t put just any furniture into your new sunroom. 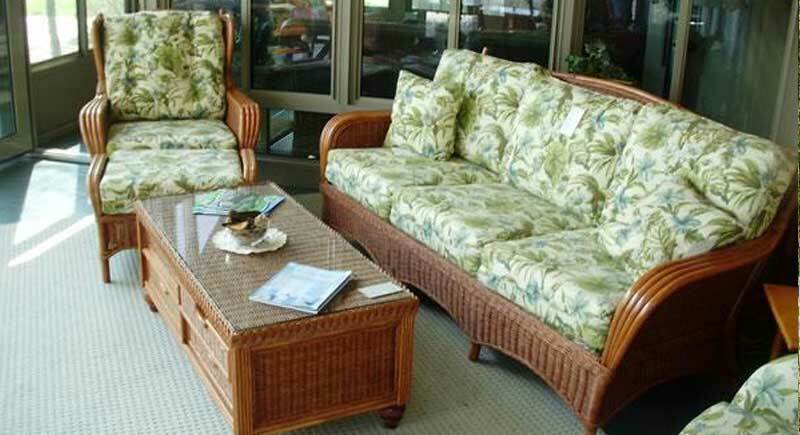 Our comfortable rattan sunroom furniture will help you create the perfect indoor oasis. Are your windows or doors old and drafty or do you need windows and doors for a new build? As a long time dealer, we understand our products and can advise you on the best type of replacement windows or doors for your home.